The final tally shows more than 500 people attended the NFL Network Thursday Night Tailgate Tour party at Butler Hyundai this weekend! 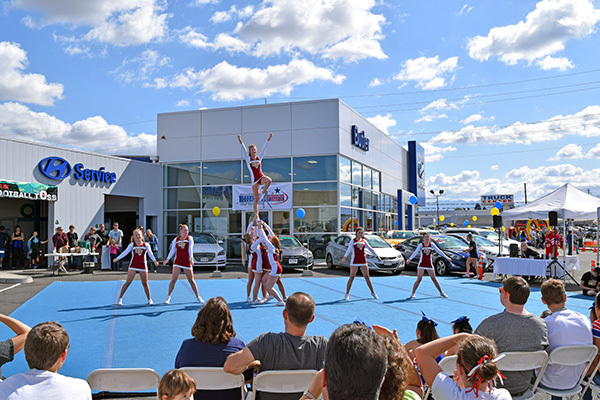 With perfect weather, food, games, a tire toss, and a cheer-off between local cheerleading squads there was plenty to keep everyone occupied. We were honored to have been chosen as the location to host the event and hope you had as much fun as we did!